This beautiful 4-bedroom, 4-bath, 2,639 square foot home sold for $390,000, which is $147.78 per square foot. 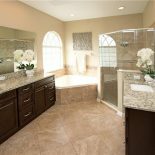 The home is located in the gated community of Bristol Estates in Orange County Florida. 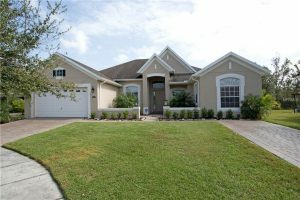 The community is an intimate 90 single-family home neighborhood near Avalon Park on the thriving east-side of Orlando. Built in 2005, this home sits on 1/4 acre with an attached 2 car garage. 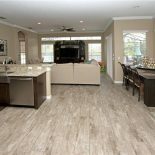 It’s completely updated features include granite throughout, new tile floors, updated stainless steel appliances, new crown molding, updated bathrooms, new fencing, and a newly installed pool with a screen enclosure. This house has central heating and air. 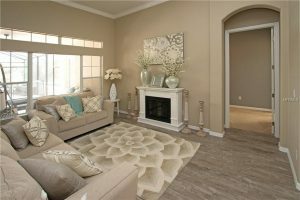 Ceramic tile and carpet can be found throughout. Ceiling fans, crown molding, solid surface counters, and solid wood cabinets add the perfect touch to the interior. 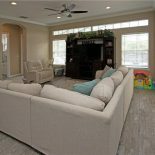 In addition to the 4 bedrooms, this home has an additional room, which can be used as an office, library or whatever might suit your family’s needs. 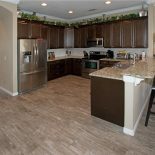 Kitchen appliances include an oven, refrigerator, dishwasher, and garbage disposal. The exterior is constructed of block and stucco with a shingle roof, sliding doors, irrigation, and rain gutters complete the outside of the home. The inground pool conveniently features a child safety fence for peace of mind, and concrete/gunite surrounding the pool. Like this home and looking to find your very own dream home? Contact Gitta Sells and Associates today to find the home of your dreams in the perfect location to fit your family’s needs! 4-bedroom, 4-bath home sold for $390,000 which is $147.78 per square feet. 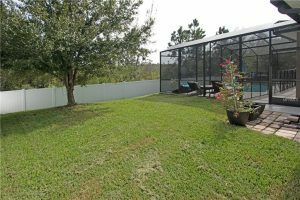 This home is completely updated with granite throughout, new kitchen with updated stainless steel appliances, relaxing lanai, with a newly installed pool with a screen enclosure and newly installed fence. Contact Gitta Sells and Associates today to find your dream home!